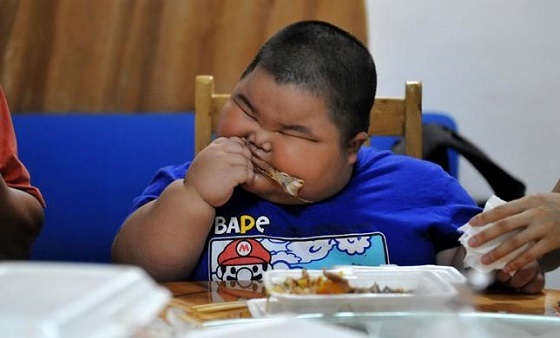 Known as “Xiao Hao” by friends and family, the kid has been taken to several hospitals in Guangdong to find out why he’s so fat, but doctors can only say that it is down to bad eating habits. 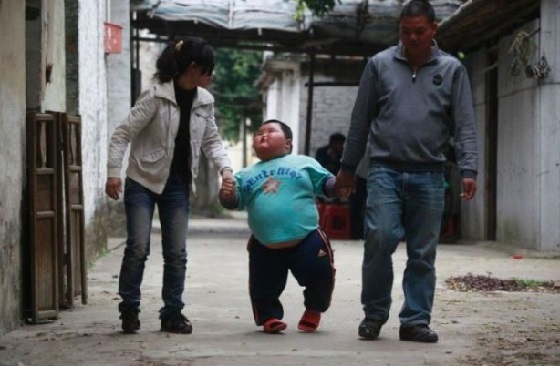 If he doesn’t do something about his weight now, doctors predict Xiao Hao’s obesity will become life-threatening by the time he turns 20. 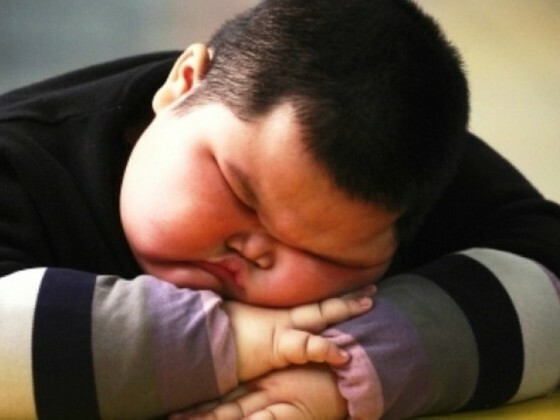 According to Apple Daily, a Hong Kong weight-loss center has offered to help Xiao Hao lose weight for free. The center, which has not given out its name, uses non-intrusive Japanese technology to help the body break down fat. “We believe there must be specialists in Hong Kong who can help us,” says Xiao Hao’s father, Lu Ye-ming. 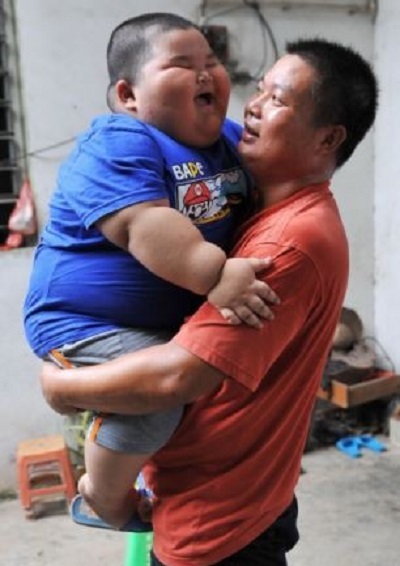 The mother and father of the child are both of normal weight, and obesity has not been a part of the family’s health history. 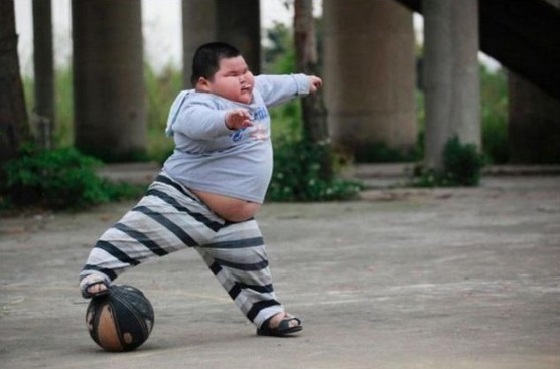 Xiao Hao slowly ate his way to fatness. But he’s been put on a diet now, which means cutting down from his regular three bowls of rice per meal to just one bowl. 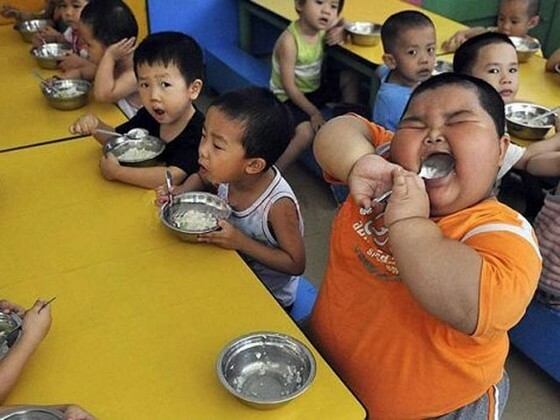 Apple Daily’s video of Xiao Hao at school shows him finishing his bowl of rice at lightning speed and begging his friends for their lunches. When they don’t cooperate, he steals a meatball from his neighbor’s bowl. 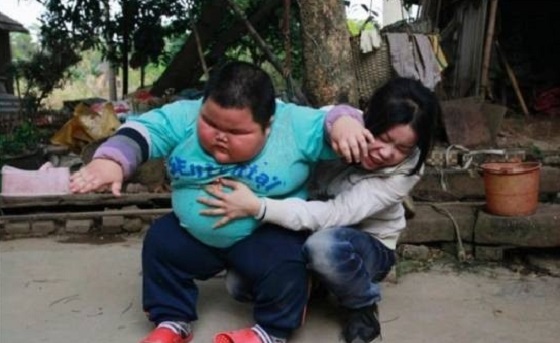 He is rewarded with a punch to the face, but the swing hardly seems to have an impact on the child’s puffy cheeks. 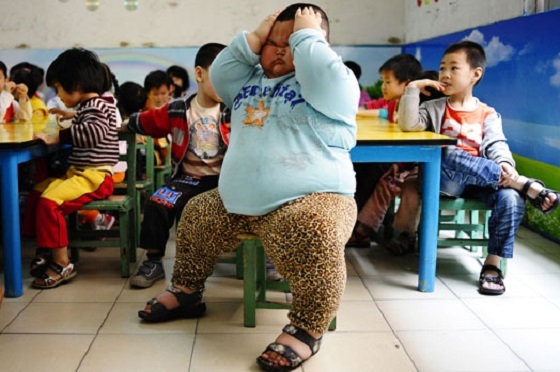 The WHO says more than 20 percent of the population in some Chinese cities are now obese. Xiao Hao’s parents are now applying for a permit to travel to Hong Kong and hope to be here with their rotund child in a couple of weeks.